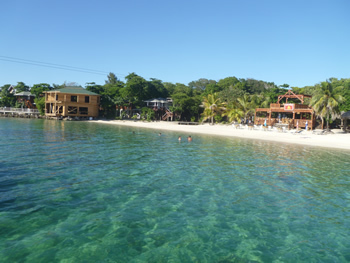 We welcome you to Foster's West Bay, Roatan. 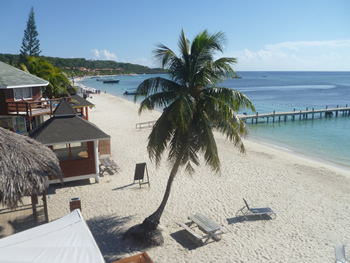 Foster's West Bay is the perfect place for you, your family or friends to spend a day while visiting Roatan. The idyllic beach setting provides you with a relaxing beachfront environment perfect for swimming, snorkeling or just lazing in the sun on our beach chairs. The reef out front is amazing for those guests who like to snorkel. Our restaurant (see Menu) provides for snacks and cold beverages. 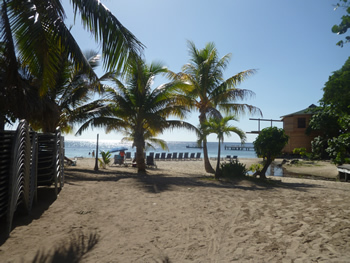 There are also guest bathrooms and outside showers at the resort available for our guests and there are hammocks and palapas for those who want to just hang out in the shade. Also, Foster's now has the Coral Reef Explorer right off our dock. This glass bottom boat is a great way to see the beautiful reef out front without even getting wet! 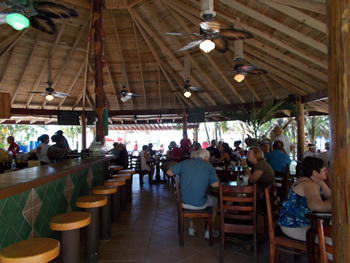 We know that you will enjoy your day with us at lovely Foster's West Bay. **Roundtrip transportation with day use is available only for groups of 4 or more. Groups with less than 4 people are most certainly welcome and may hire a taxi to Foster's from the cruise dock. If you wish to form a minimum group with roundtrip transportation, one can post messages on the cruisecritic.com and find others to join along! *under the age of 12, children under 5 who do not order a regular lunch are at no charge. Meals, beverages and snacks can be purchased separately off the menu, in this case, if desired. Diving, fishing trips, island tours and snorkeling tours by boat can also be arranged for an additional charge. Average per hour charge is approximately $40.00 per person, 4 person minimum, 2 hour minimum. Special rates for larger parties. *A 50% deposit is required to confirm all reservations. Balance is not due until you arrive in Roatan. A full refund of deposit is made if cruise ship does not dock as scheduled. Copyright © 2018 Leslie Beverly | All rights reserved.